We certainly don’t have all the answers, but we love asking big questions. How about you? We’ll have dessert and lots of information on the responsibilities and privileges of membership in M&M. 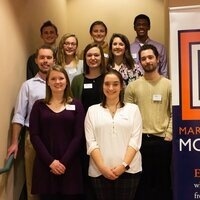 For more information now, please see our website (http://www.hope.edu/academics/economics-business/special-programs-opportunities/markets-morality.html) or contact M&M director, Professor Sarah Estelle (estelle@hope.edu).